You already know how valuable converting FSBOs and expired listings to clients can be. And you already know that cold calling is an invaluable way to attract these new contacts. 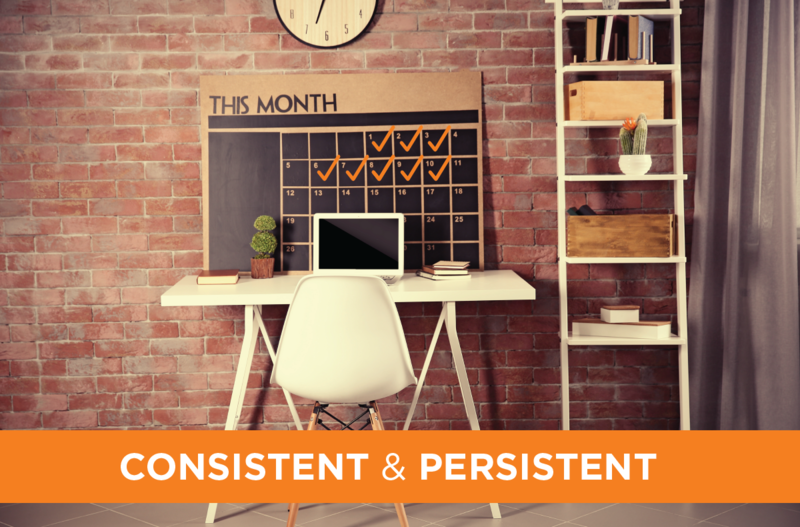 The two common threads in almost any real estate interaction or task are consistency and persistence. The pushy, salesy real estate agent is an old trope and one that we’d like to disassociate ourselves with! Persistence isn’t pushy. Consistency isn’t about making someone feel like another number or a project. When you use consistence and persistence as tools, you’ll see real results. When cold calling expired listing leads, consistence is key. Once you’ve committed to just making those calls and you’ve figured out a script that works for you, focus on being consistent and persistent with your cold calling. Make cold calling expired listings part of your daily, weekly, or monthly schedule. One thing is for sure: the more cold calls you make to homeowners with expired listings the more you’ll perfect your skill, making the time you spend cold calling more efficient. Consistence and persistence are valuable skills. Cold calling is a skill, and it is part of the job. When you first start incorporating cold calling into your schedule, you might have to work the numbers game and designate some time each day to calling expired listings. But the more consistent you are, and the more you expand your clientele and work from client referrals, the less time you’ll need to spend in the long run making cold calls. Without consistence on your part, cold calling will continue to be a nagging to-do in the back of your mind. Pencil it in, accept it as a valuable source of clients, and turn a weakness into a strength. Soon you’ll be reaping the rewards, signing contracts and selling more homes. Dedication to making cold calling a core part of your business, no matter how difficult it may be at first, can have big revenue benefits in the long run. You may hear “No” a lot at first, but keep calling—even after a full day or full week of being told no. Chin up because this persistence is something that can help you stand out. Set yourself apart from all the other agents who contact homeowners of expired listings with positivity and confidence. Add persistence, and you’re the ideal agent. The more you cold call, the better you’ll get. You’ll quickly learn how to overcome rejection and objections from homeowners. You’ll learn to quickly make connections and turn those connections into listing appointments. With the combination of consistence, persistence, and expired listing contact information sent to you from Landvoice, you’ll turn cold calling into the secret to your success. You can go find expired listings using your MLS software, but it is tedious and time consuming to then go find phone numbers for those listings using county records or another out-of-date method. Instead subscribe to Landvoice and have phone numbers for expired listings sent directly to you. Landvoice solutions will take you more than halfway. All you need to do is exercise consistence and persistence.